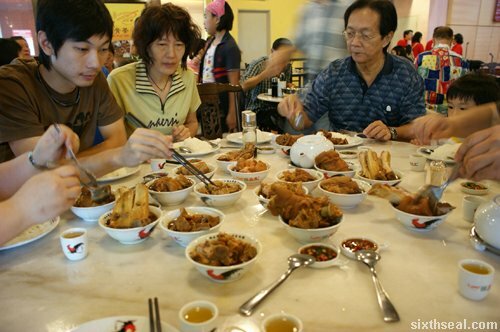 I know…who the hell goes to Klang to eat BKT at an eating establishment inside a mall instead of sweating it out like a man in some authentic looking (preferably run down) and well loved coffee shop? The new port coolies of course! 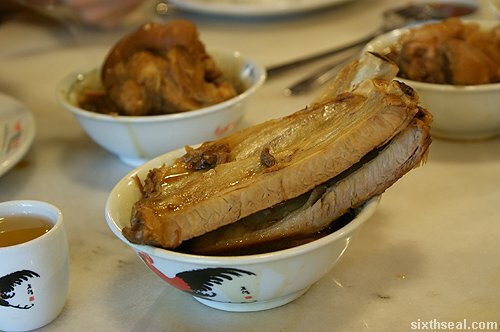 Although our line of work has more to do with computer ports than harbor ports, nothing beats a bak kut teh breakfast! 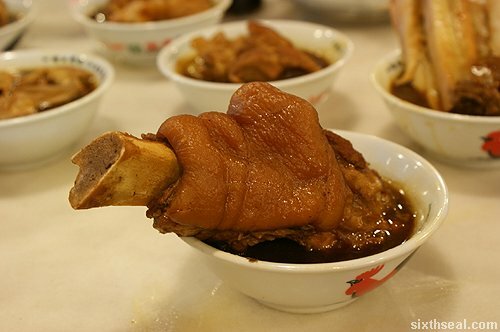 The pork knuckles with enough fat to make 20 whales clutch their hearts with their flippers and float belly up. 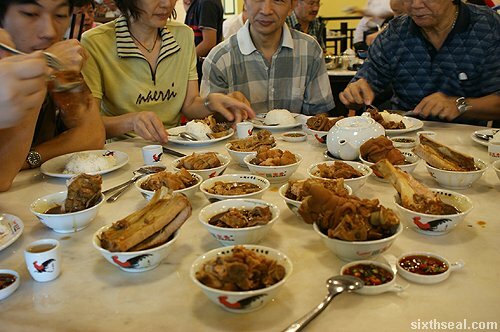 There’s nothing like the hustle and bustle of salt-of-the-earth hardworking men chowing down on bak kut teh before their daily honest backbreaking toil. 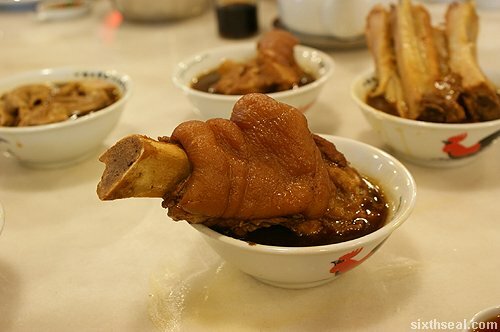 Please excuse my wanton exhibition of the flavorful pork knuckles that squirts out its juicy secrets as you bite through the layer of fat into the meat, bursting into a million taste bud orgasms in your mouth. 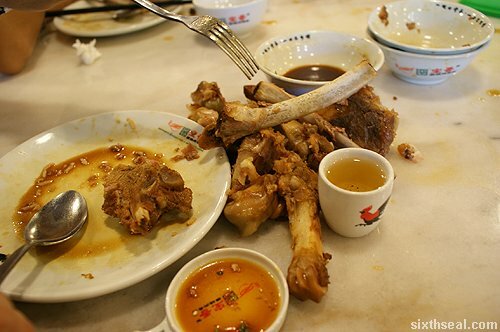 It’s too good! 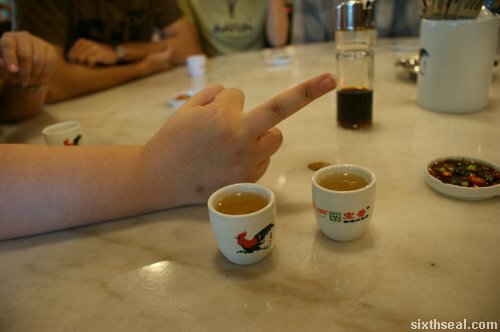 I’m going to go off and…er, lift some heavy objects or something now.